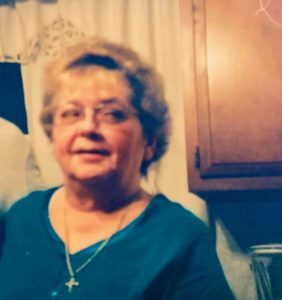 Cynthia Sue Huddlestun, 68, of Lincoln, passed away March 19, 2019 at The Christian Village. Visitation will be 5-7 PM Monday, March 25, 2019 at Holland Barry & Bennett Funeral Home. Funeral services will be 11 AM Tuesday, March 26, 2019 also at the funeral home. Burial will follow in New Union Cemetery. Cynthia was born November 6, 1950 in Lincoln, the daughter of Wendell and Margaret Newhouse. She was formerly employed as a cook and cafeteria manager at ALMH. She was a member of Lincoln Christian Church. Surviving are her mother Margaret Newhouse; son Jim Huddlestun (Beverly); step grandchildren: Kayla Bennett, Kyle Bennett, Kaleb Bennett, Raven Nance-Fletcher, Ryan Nance-Donaldson, Lane Berglin (Miranda), and Jake Berglin;and brother Mark Newhouse.